Page added in June 2018. 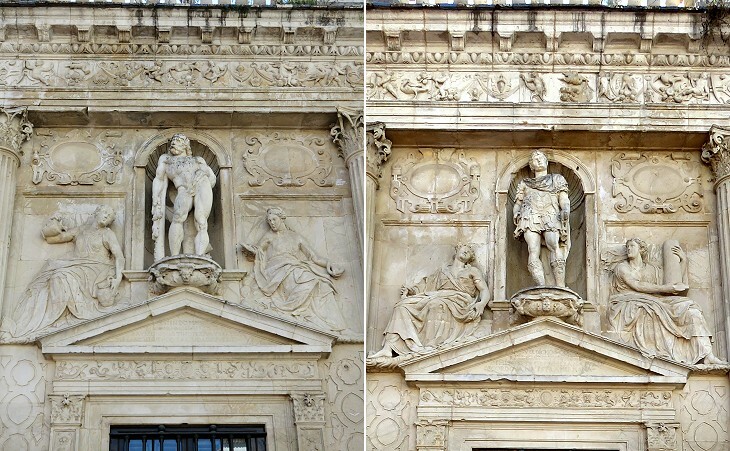 Photos taken in March 2016. 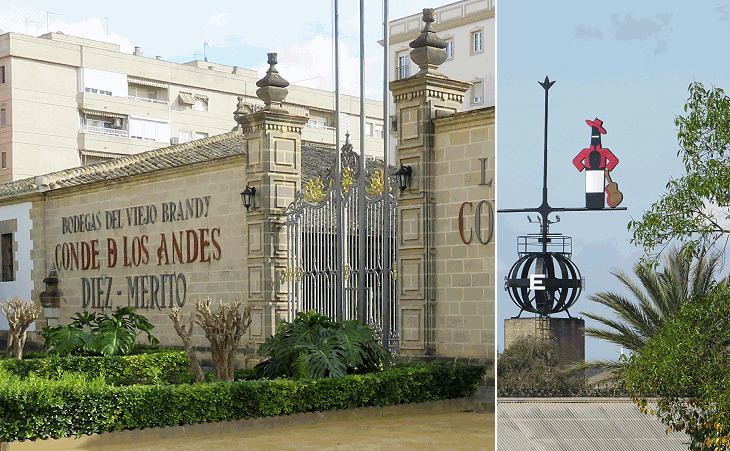 Xerez de la Frontera, or Jerez is called of the frontier to distinguish it from Jerez de los Caballeros, in Estremadura. It was termed by the Moors Sherish Philistin, because allotted to a tribe of Philistines. The reference added to the name is Frontera de Granada, the border region of the Kingdom of Castile with that of Granada. The border was relatively stable between the 1350s and the 1480s. You especially, Silvinus, can bear me out in this, since you will readily recall that I completed the planting of two iugera of vineyard within two years time by making grafts from one early-ripe vine belonging to you on your place at Caere. Lucius Junius Moderatus Columella - De Re Rustica - Book III - Loeb Classical Library 1941. 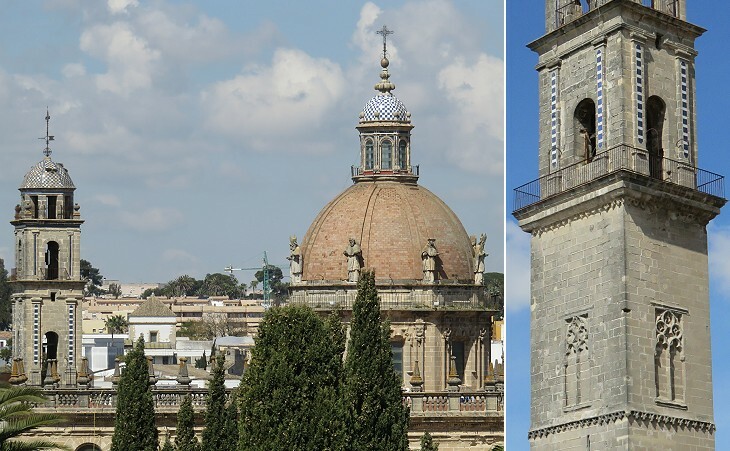 There is not much evidence of Jerez having been a Roman town; it was a florid agricultural area named after Ceres, the Roman goddess of agriculture, from whom the name of the Arab town derived. The passage from Columella shows that its vocation for vine growing is very old. 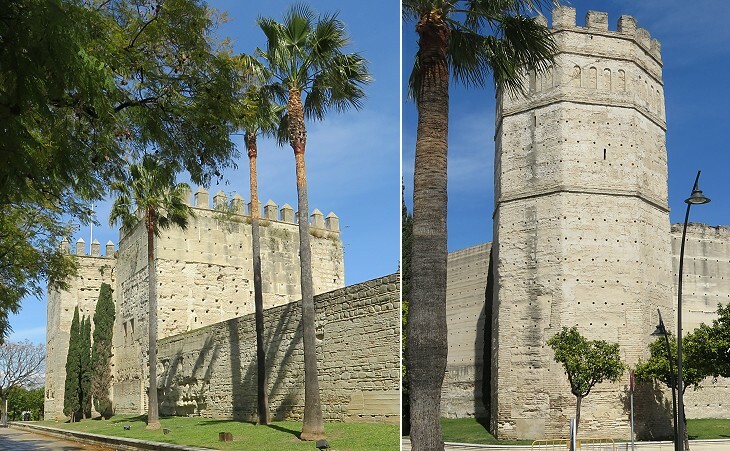 In 1248 the Kings of Castile conquered Seville and established a sort of protectorate over the region to its south. 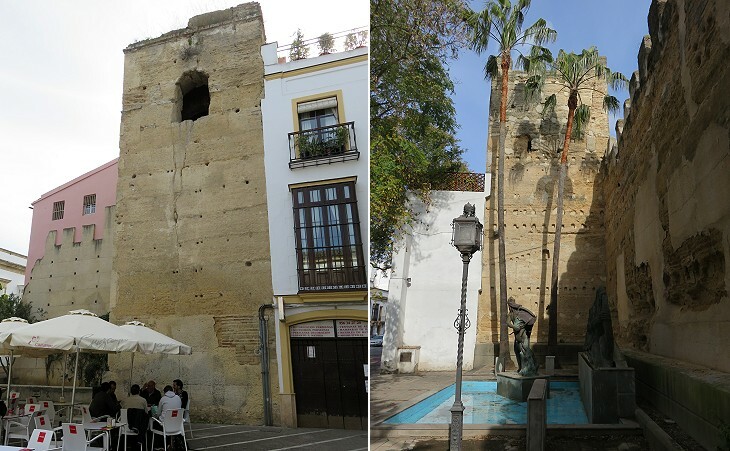 In 1264 the Muslim inhabitants of Jerez and other nearby locations rebelled because of the heavy taxation imposed on them. 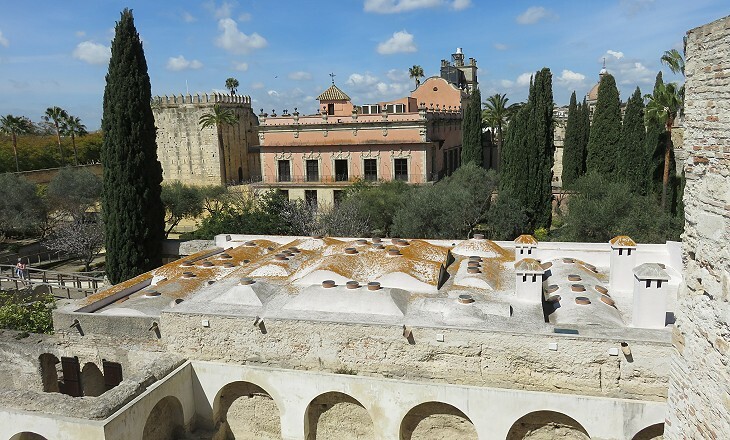 The repression of the revolt was very harsh and Jerez was annexed to Castile, its Muslim inhabitants were expelled, the mosques were converted to churches and the region was settled by Christians from elsewhere. 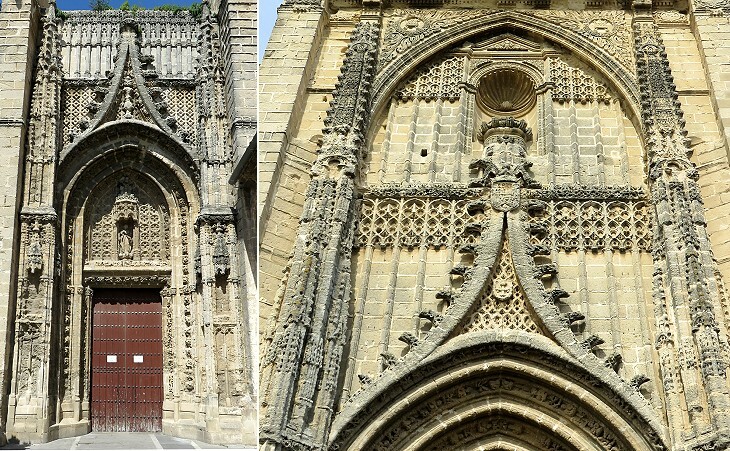 The mosque was turned into a church in 1264. 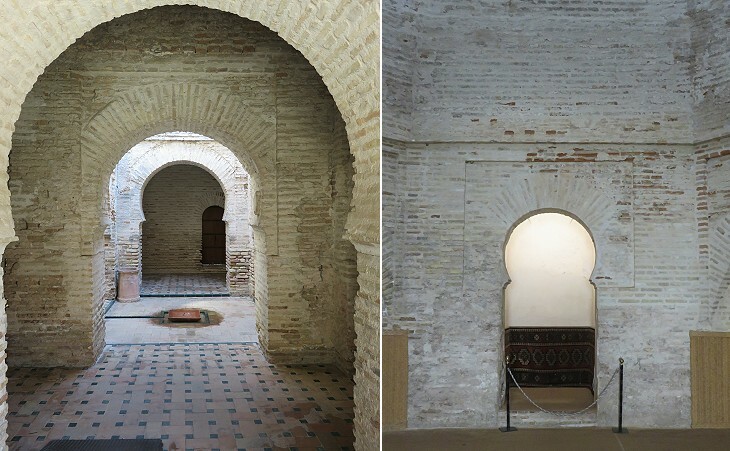 The building has been restored in order to enhance its original Moorish aspect, but actually only the horseshoe arches suggest its original use, because all the decoration is lost. The same applies to the baths, although here the original division in halls and the original heating system are still noticeable. 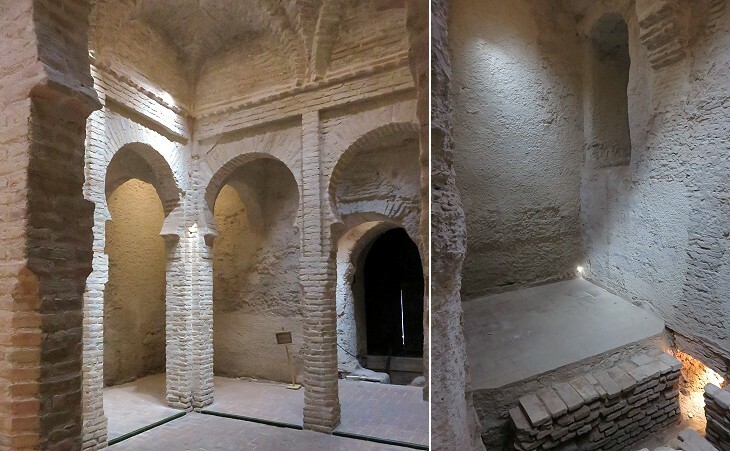 Restorers had as model the baths of Ronda, the best preserved Arab baths of Spain. The conquest of Jerez occurred on the Feast of Saint Dionysius the Areopagite (October 3), who became the patron saint of the town. A church dedicated to him was built in the following years. 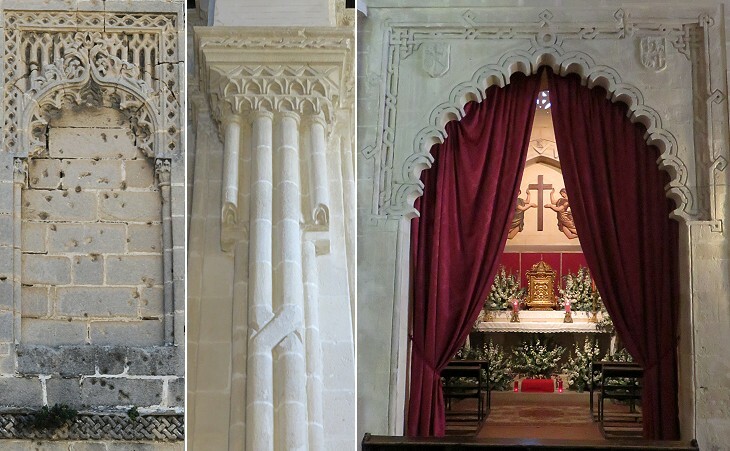 During the first half of the XVth century it was redesigned with some mudéjar (Moorish style which characterizes many Christian monuments) features, similar to those of churches of Seville. In 1728-1730 and in 1758-1760 (after the 1755 catastrophic earthquake of Lisbon, which had effects on Spain and Morocco too) the interior of the church was modified in order to give it a Baroque aspect. In the 1960s and 1970s some of these additions were removed to show the remaining elements of the XVth century church. 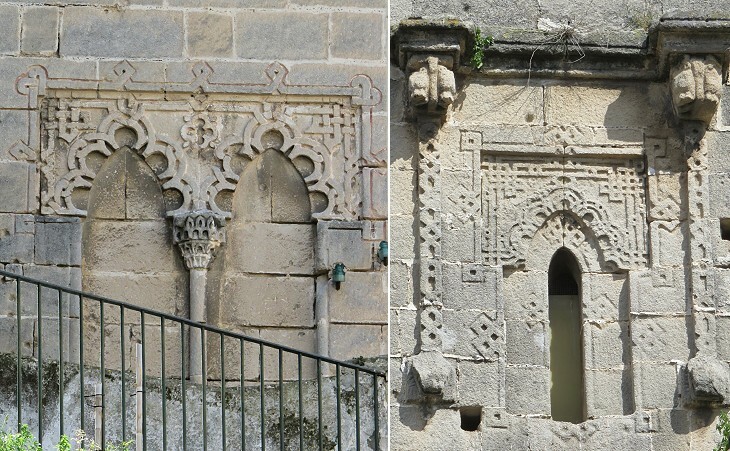 Both portals have distinctive Gothic features, however their decoration is mainly based on geometric patterns which are typical of Moorish architecture. The bell tower is that of a former XVth century church and its lower part reflects the impact of square Moorish minarets, chiefly the Giralda of Seville, on later Christian bell towers.